Powerful pickup trucks that have a long history of being reliable and long-lasting can be hard to find, but Ram makes the search easy with the 2018 Ram 2500. This impressive heavy-duty pickup truck is ready for any task you might throw at it, featuring three powerful engines, multiple cab and bed configurations, and eight different trim levels! 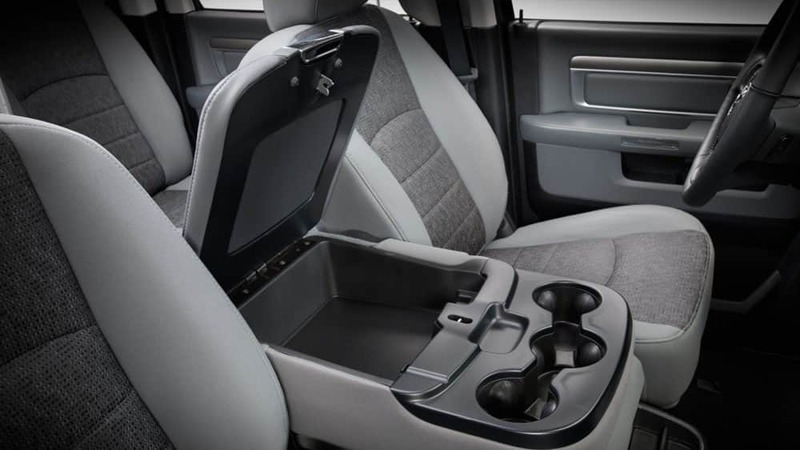 This is truly the truck that has it all, and everyone in the family will be happy with the technology inside, and the comfortable seating that will make even the hardest job more enjoyable. Some additions to this model year include a backup camera that now comes standard with every model, an appearance upgrade for the Sport model, and Sirius Guardian. Sirius Guardian comes with Vehicle Finder, Send and Go, Remote Services, Assist, and SOS. This long-lasting pickup truck is also incredibly safe, with standard features like advanced multistage front airbags, electronic stability control, speed control, supplemental front seat-mounted side airbags, supplemental side-curtain airbags, and a tire pressure monitoring display. Optional features include a DOT fire extinguisher, ParkSense front/rear park assist system, ParkSense rear park assist system, and a rear backup camera. What model options come with the 2018 Ram 2500? 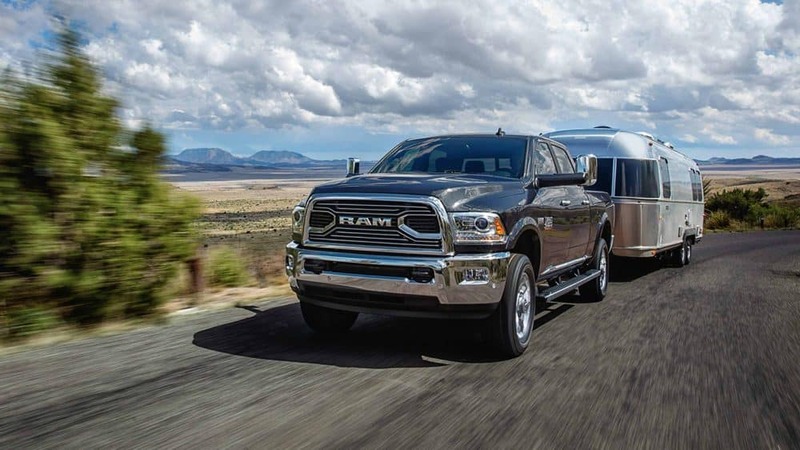 The 2018 Ram 2500 includes eight model options, three different cabs (Regular, Crew, Mega), and two different bed lengths (8-ft and 6-ft 4-inches). 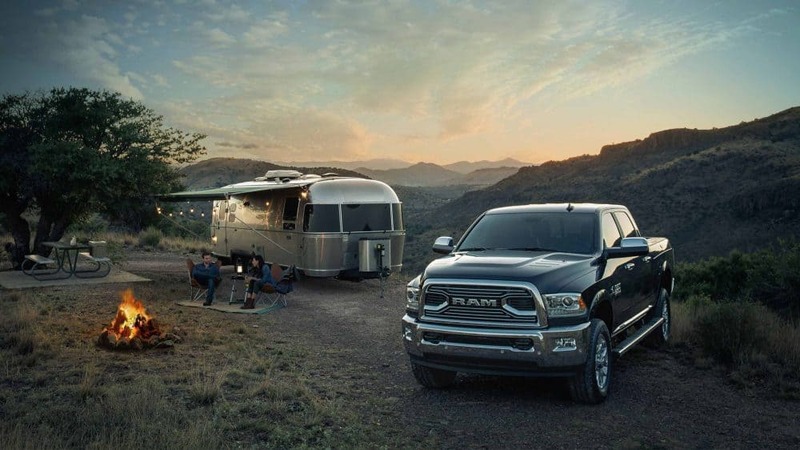 From the workhorse Tradesman to the brand new Limited Tungsten, the Ram 2500 gives you all of the options you want in all of the different configurations that you need. The previously mentioned Tradesman gives you a 40/20/40-split front bench, black grille and bumpers, vinyl flooring and upholstery, automatic headlights, a tilt-only steering wheel, 17-inch steel wheels, a six-speaker stereo, an auxiliary audio input, and a locking tailgate. A step up from the Tradesman is the SLT that includes a 5-inch touchscreen interface, 18-inch steel wheels, satellite radio, power heated mirrors, full power accessories, an integrated trailer brake controller, carpeted floors, chrome exterior trim, a power-sliding rear window, cloth upholstery, keyless entry, audio connectivity, and Bluetooth. 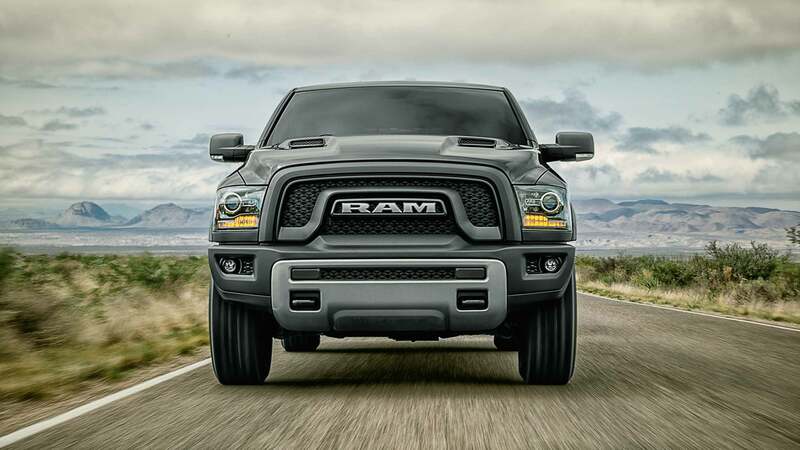 One of the higher trim options available is the Laramie. The Laramie features a ten-speaker surround-sound audio system, heated and ventilated front bucket seats, LED tail lights, projector headlights, two-tone paint, a heated steering wheel, driver-seat memory settings, front and rear parking sensors, leather upholstery, a rearview camera, and dual-zone automatic climate control. 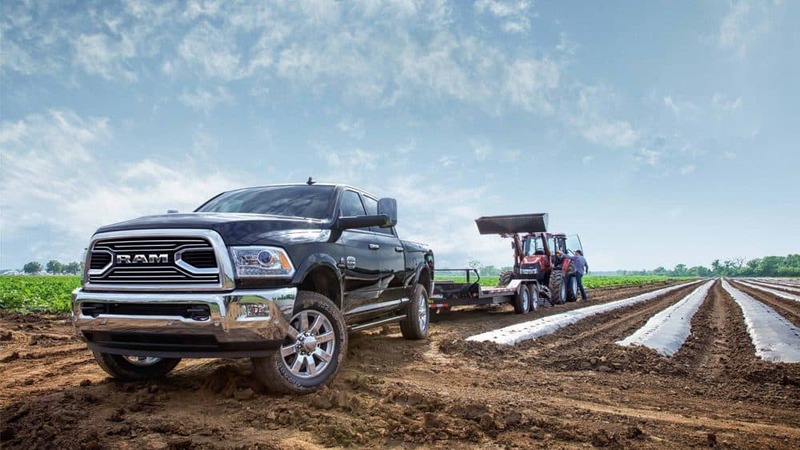 The 2018 Ram 2500 can tow up to 17,980 pounds. 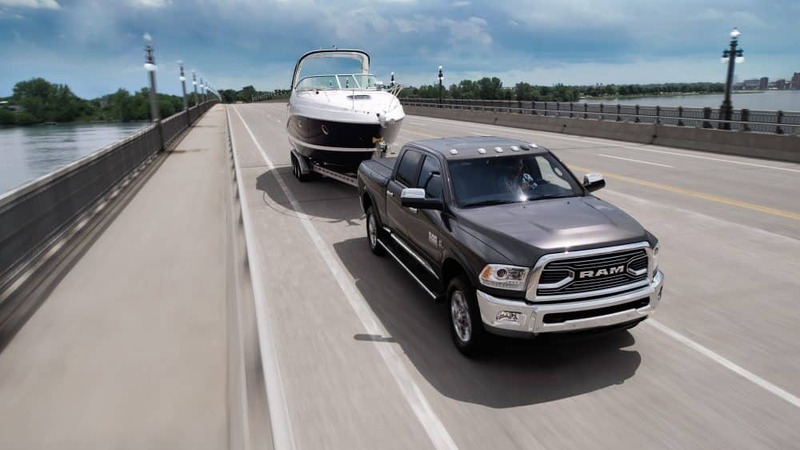 This impressive towing capacity is helped by the three different engines that are available. The first features variable-valve timing with a 5.7-liter HEMI V8 engine that can create 400 pound-feet of torque and 383 horsepower. This engine has great performance and efficiency. Even more, power can be found with the HEMI 6.4-liter V8, which is a best-in-class engine with 429 pound-feet of torque and 410 horsepower. Along with the variable-valve timing, there is also Fuel Saver Technology cylinder deactivation! Finally, the most powerful engine in the lineup is the Cummins 6.7-liter Diesel that can reach up to 900 pound-feet of torque and 385 horsepower. 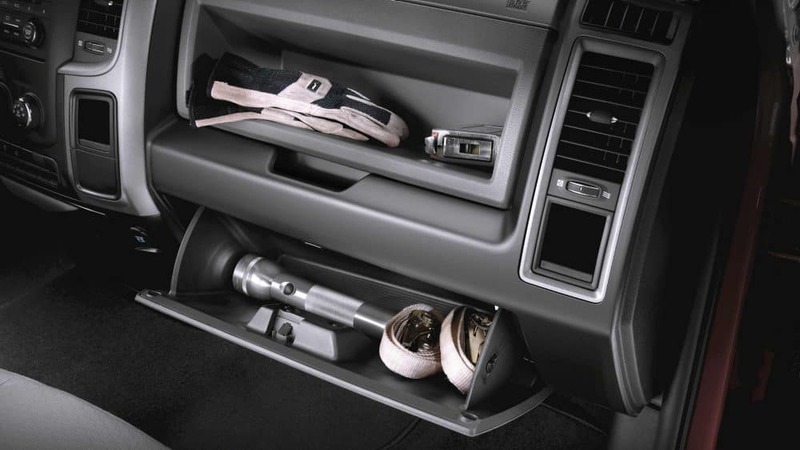 To maintain a smooth ride even with this amount of power, the Ram 2500 also includes two segment-exclusive rear suspensions, an air suspension system, or a five-link coil system. 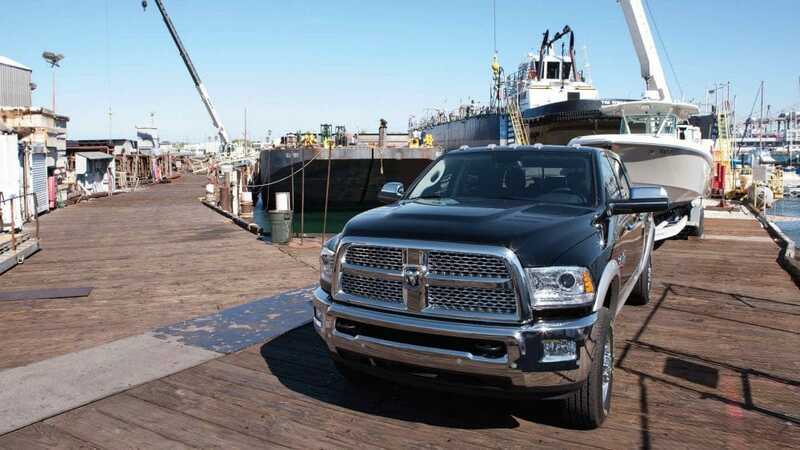 The Ram 2500 is everything a long-lasting truck should be, giving you multiple engines, trim levels, and bed lengths. This is truly the pickup truck for everyone! Schedule a test drive with us today!